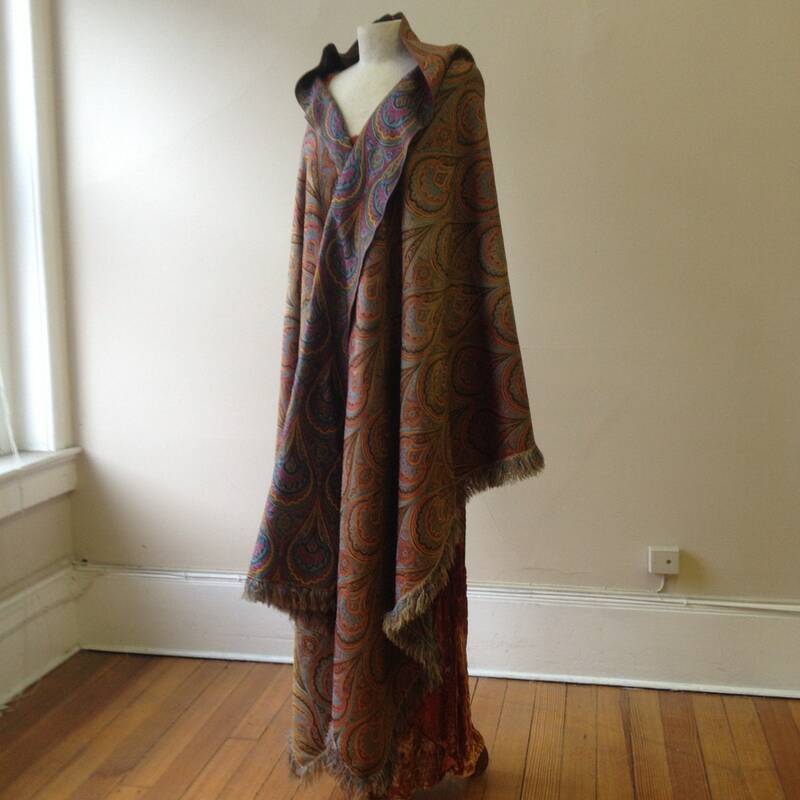 1980's, 87"x33", silk/wool paisley shall with top wool fringe. 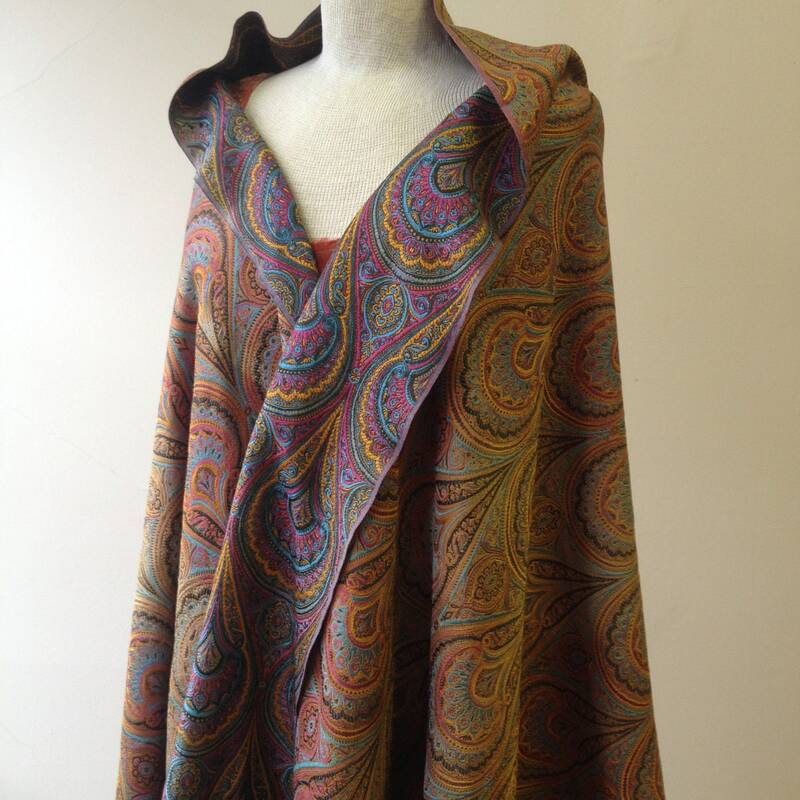 Paisley is of bright blue, pink,green swirls. 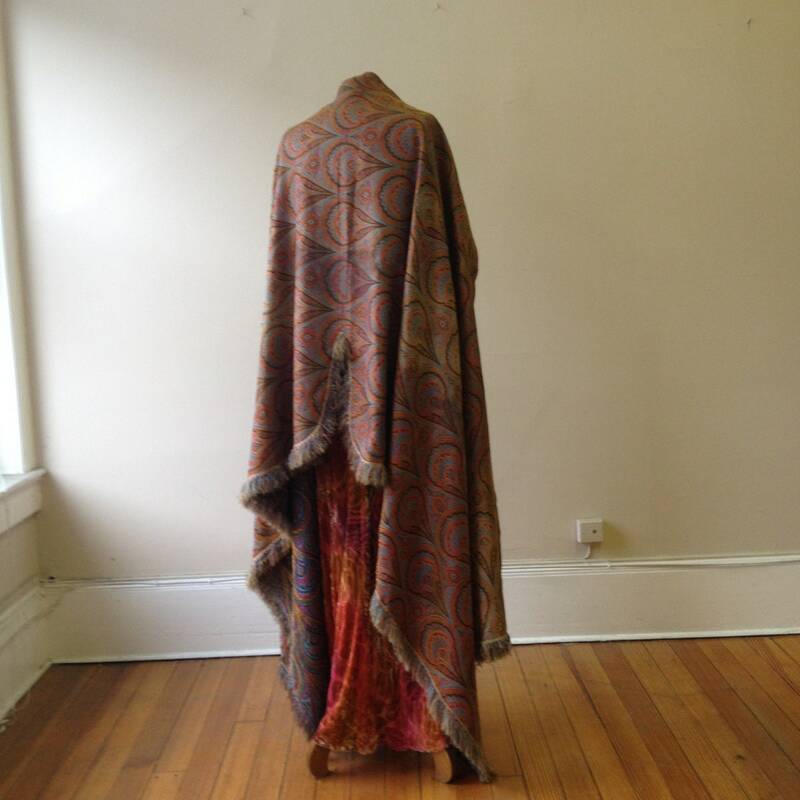 Drape of shawl falls into cape like folds.